It's time for Cut It Out Saturday over at Paper Issues. 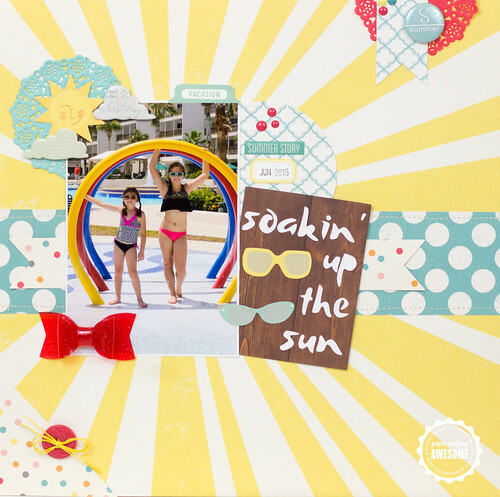 Danielle designed these awesome Summer themed cut files. Youjcan down load this free file here. I used paper from the October Aftternoon - Summertime Collection. I just love this photo of my girls from our recent trip to the coast. We'd love to see what you make with these fun files. Link up on the Paper Issues blog for a chance to win a $10 gift card.